FORTE IS LIVE! There is no Forte account to create! Just pay for registered event! The first time you pay for a registered event, an encrypted token will be created. The next time you pay for an event you’ll simply select your account such as Checking 7856 from a drop down menu and you’re entry fee will be deducted from your checking account. It's that easy! After much research, the MLGT has chosen Forte payment systems as the new way players will pay for events and receive their earnings. We feel Forte is a very safe, simple, and economical way to pay and get paid online. There are two options to pay for events using Forte, echeck and credit card. The echeck option will be offered at no cost to the player. The credit card option will continue to have a 3% convenience fee added to the entry fee. Your information is securely sent to Forte only the first time you use a payment method AND NONE of your sensitive account information is saved on the MLGT site. Every time you go to pay for an event after a token is created you will be able to select your payment method and check out. It should take less than 30 seconds to pay for an event. Dwolla has decided to terminate the platform the MLGT has been using, and has notified us it will be shut down on December 3, 2018. SO IF YOU HAVE ANY FUNDS IN YOUR DWOLLA ACCOUNT MAKE SURE YOU TRANSFER THEM TO YOUR LINKED BANK ACCOUNT. We are excited moving forward with Forte and are happy to help you your first time paying with Forte. 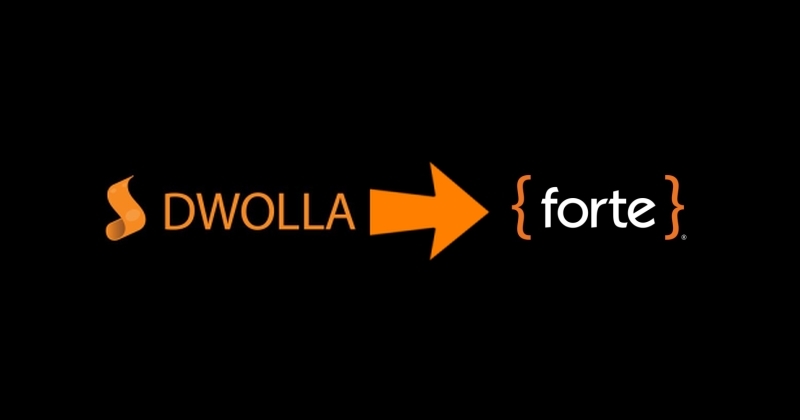 Please don’t hesitate to call with any questions regarding Dwolla or Forte.